Rest up! The party goes into 'over drive' from Aug 19-21, and you can experience it all for the price of 1 ticket! 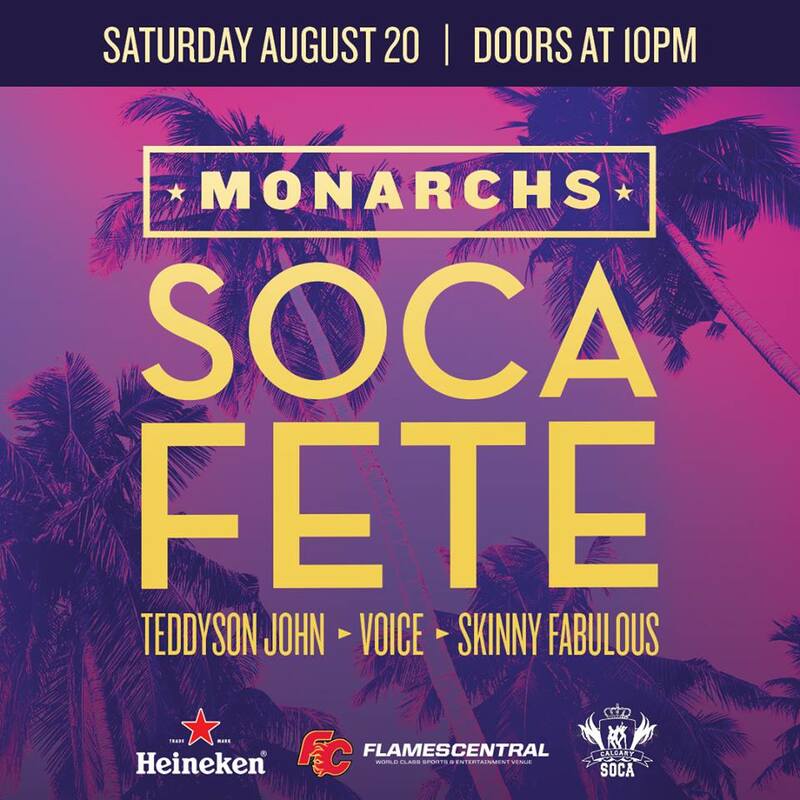 In the absence of this year's Caribbean Festival, CalgarySoca brings you 3 chances to get your fete on in one, high energy weekend! 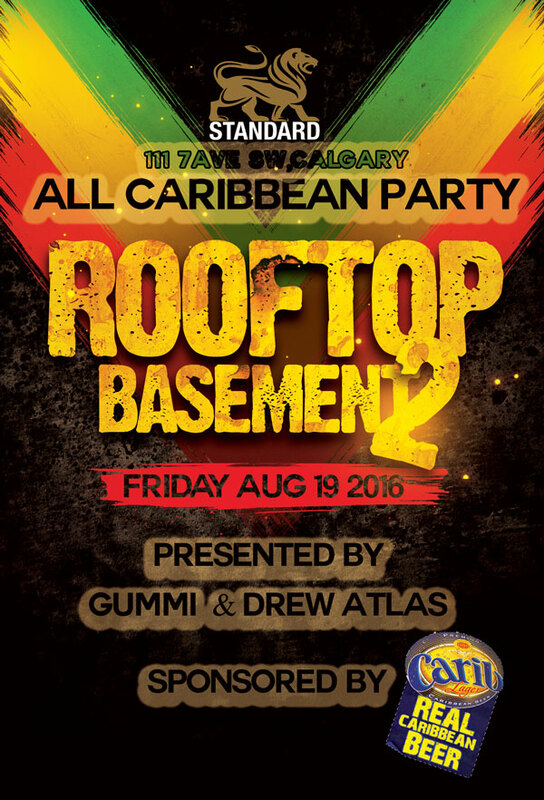 First up, Friday Aug 19th, Gummi once again joins the crew for the Caribbean patio party (sponsored by Carib beer) at Vagabond for 'Rooftop 2 Basement.' Everything from Reggae to Dancehall to Soca all night long! 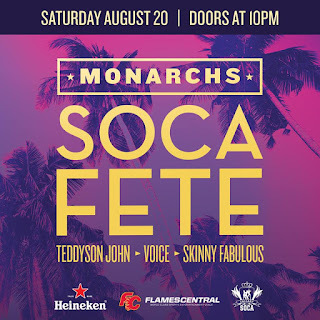 On Saturday Aug 20th we all return downtown for the highly anticipated MONARCHS fete with Soca sensations, Skinny Fabulous, Teddyson John and the reigning international Groovy Soca Monarch, Voice performing live alongside DJs Barrie Hype, DJ SocaSweetness and the CalgarySoca crew. Still not tired? 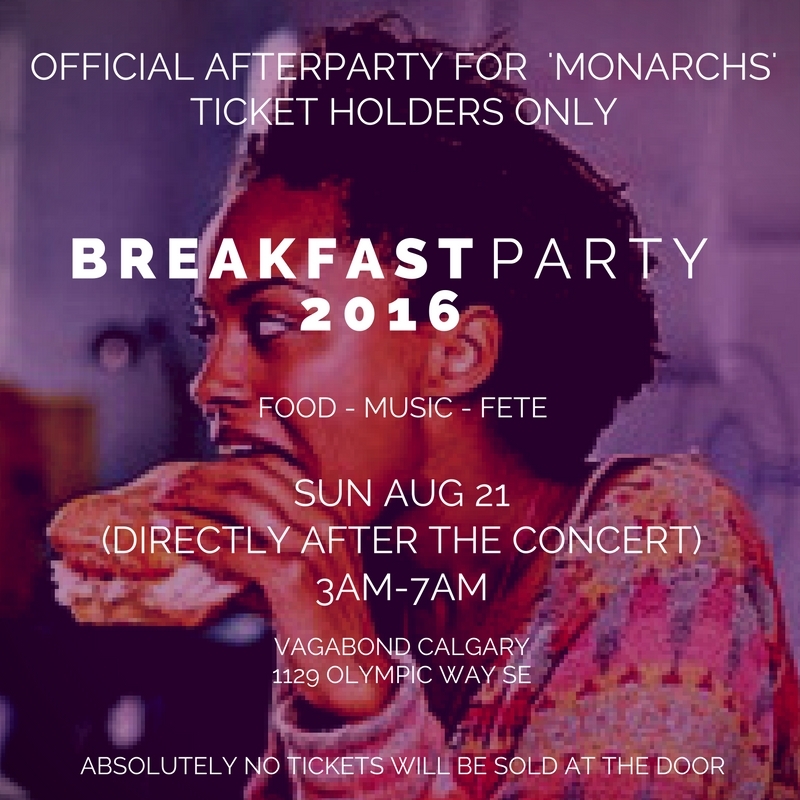 All good, because we give you a repeat of last year, and continue the vibes at the Breakfast Party over at Vagabond! No booze, but 'nuff' food and fete til 7am. 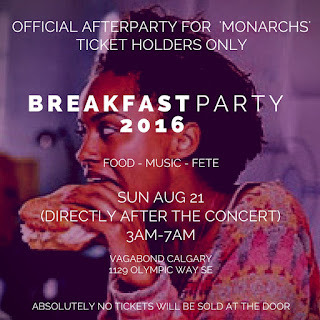 Go now to: http://monarchs2016.eventbrite.ca to get your pass for BOTH the concert and the breakfast party! NOTE: THERE WILL BE NO BREAKFAST PARTY TICKETS SOLD AT THE DOOR! In between all of this (if you have the energy) don't forget that the city's annual Reggaefest is also happening throughout the day on Friday and Saturday at Shaw Millennium Park! Its the first time in over 30 years that there will be no official Carifest in the city, but this may just turn out to be the most ambitious Caribbean party weekend ever! Remember, you get access to ALL 3 of this year's CalgarySoca events and only pay for the concert!